New section for past photos from the history of the DACC! 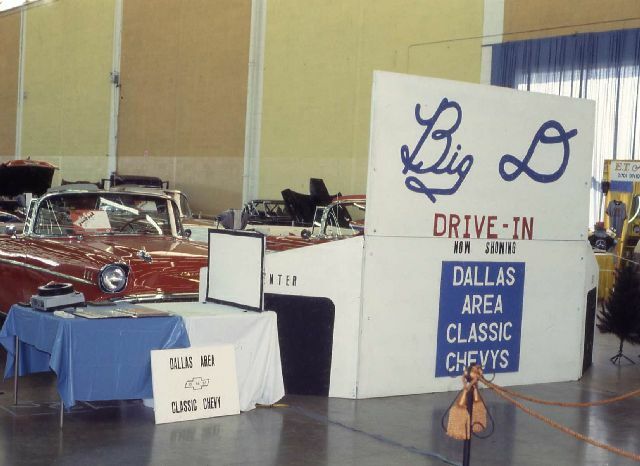 Starting off with this shot from the 1978 Dallas Autorama where the club had a great display of '55-'57 Chevys in a Drive In Movie theme and a continuous playing slide show of club activities. Great idea. This car club likely has some interesting history. "A Classic Car is Not Aerodynamic"
I second, that this thread is a great idea. I look forward to seeing the photos. 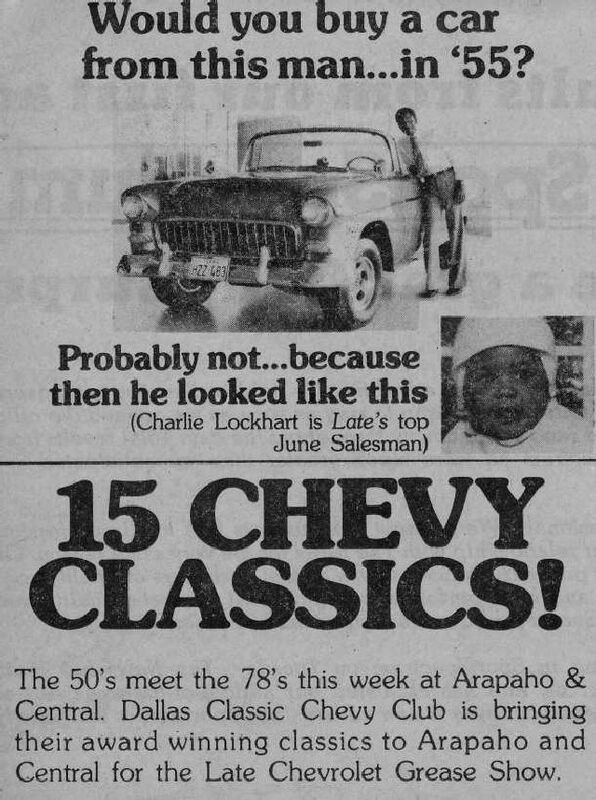 It's 1983 and the site is the LBJ Library parking lot in Austin, Texas for the Show N Shine judging at the first ever Lone Star Classic Chevy Convention and current DACC member (then member of the Top Of Texas Classic Chevy Club in Amarillo) Carl Mitcham gets some press in the local newspaper as '55-'57 Chevy enthusiasts from all over Texas meet for Lone Star I. Is this the same car 23 years later that was in the newsletter in 2006? I am 99.9% sure that is yes same car. It has gone through a few changes over the years. It at one time was sold and then later bought back. this week's Throwback is this photo of a great lineup of '57 Chevys at Fair Park for a photo shoot that was done in the late 70's sometime to promote the Dallas Autorama car show at Market Hall. 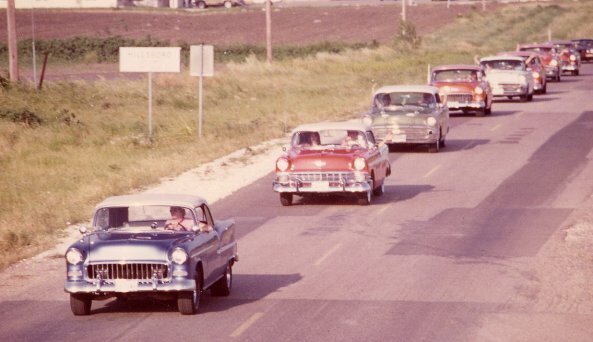 Nearest going toward the back is Ron Wilson's red '57, Charles Lowrance's green Nomad, Ellen Wallace's red '57, unknown '57 and Ray Trevathan's red Convertible. This week's 'Throwback' centers on Carl Mitcham again! 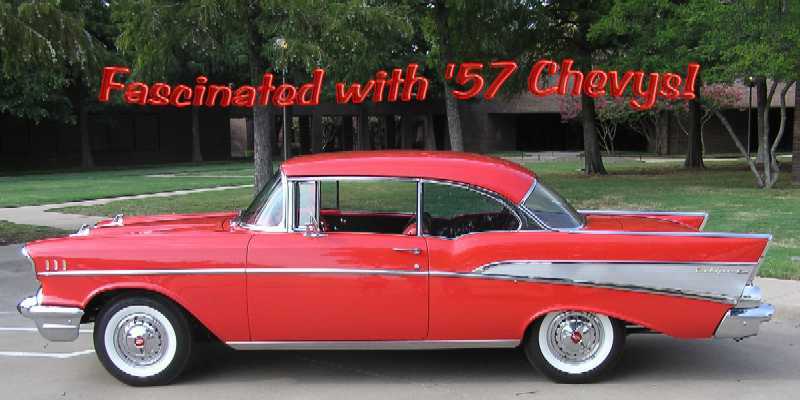 It's 1979 and the Classic Chevy Club International (and DACC) is running at full speed giving all '55-'57 Chevy enthusiasts a 'national' club and voice, and it is from this group that created many of the local 'Classic Chevy Clubs' like DACC that still exists today. 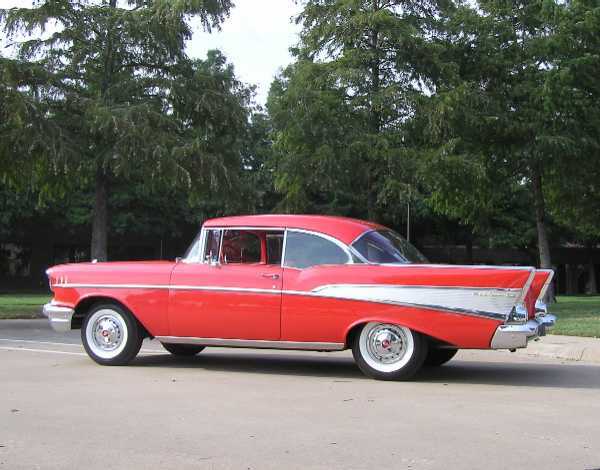 Before joining DACC, Carl was living in Amarillo and belonged to the local Top Of Texas Classic Chevys. 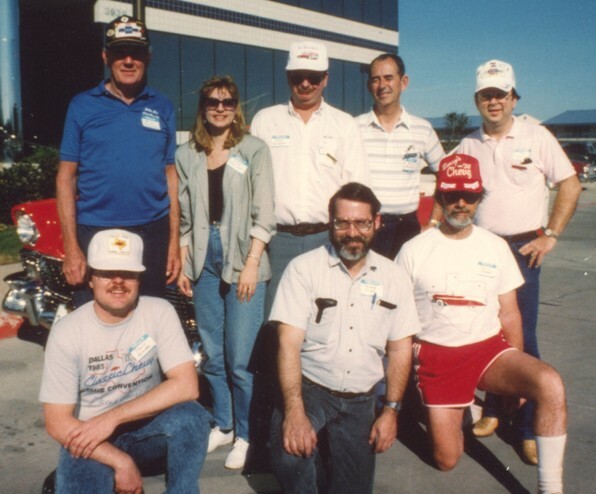 Each year the CCCI held conventions, some regional and typically smaller and then one big one called the 'International' convention (DACC played host to this in 1991). 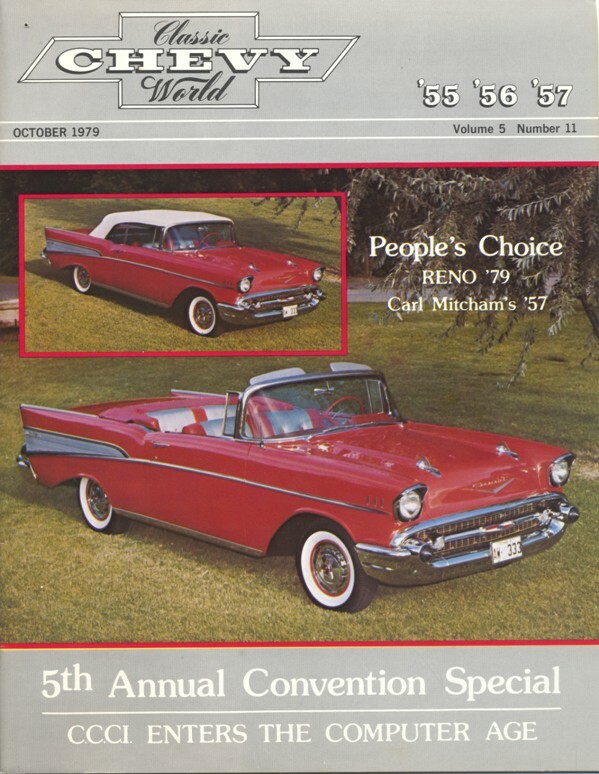 In 1979 the International Convention was held in Reno, NV and had over 230 '55-'57 Chevys in attendance. The judging competition always brought out the finest and best Tri Fives in the country at the CCCI conventions (especially the International Convention) and in 1979 Carl's beautiful '57 2 4-barrell original convertible took the 'People's Choice' award at Reno and landed on the cover of the monthly Classic Chevy World magazine that went out to all the CCCI members worldwide. 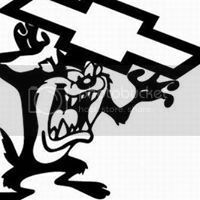 To start off 2014 we are going back to 1978 when DACC was sponsored by Late Chevrolet (now Reliable Chevrolet) and the movie 'Grease' was hitting it's peak in popularity. 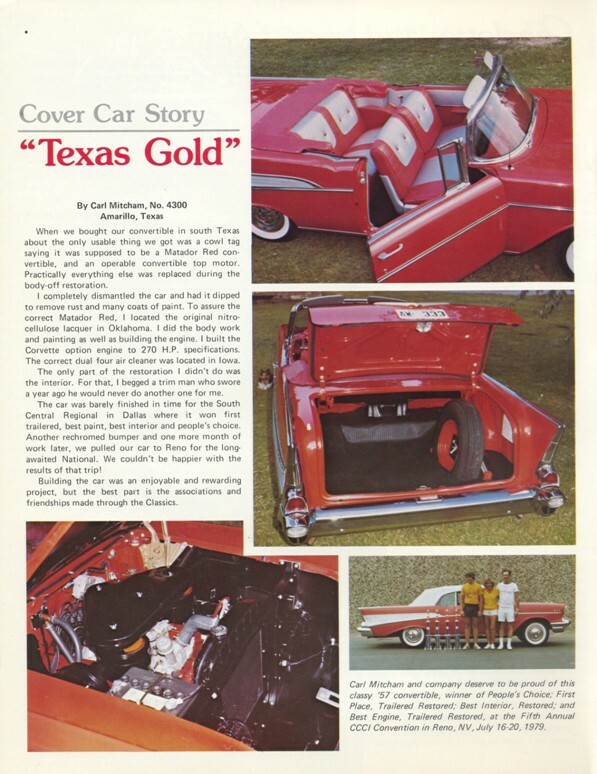 The dealership cleared their showroom floor in July of 1978 and featured 15 of the club's best '55-'57 Chevys for a big throwback promotion that featured this newspaper ad that highlighted their Top Salesman and Mike Cook's '55 Convertible! This is the late 70's sometime, in Ardmore, Oklahoma where each September Classic Chevy Clubs from Oklahoma and North Texas would meet at the Holiday Inn for the annual Ardmore Classic Chevy Run, and in this shot a group from the DACC are cleaning up their Chevys at the local car wash, from left to right - orange '55 Chevy David Graves, red '55 Chevy Greg Easley, blue '55 Convertible Mike Cook, yellow '56 Chevy ? ?, purple '55 Chevy Albert Collier. You sure had a lot of elected members back then. Besides you David who else is still in the club? Some of the names seem familiar to me.